With the rise in popularity of Syfy films such as Sharknado and Piranhaconda, more and more studios are putting out movies in a similar style, mixing tongue-in-cheek humour with bad special effects to produce something knowingly self-aware. 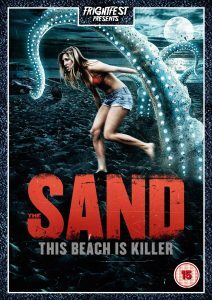 The Sand fits perfectly into this category, and though it’s not something all horror films will enjoy, it’s a fun way to spend an hour and a half – even though these films are starting to get tiresome. 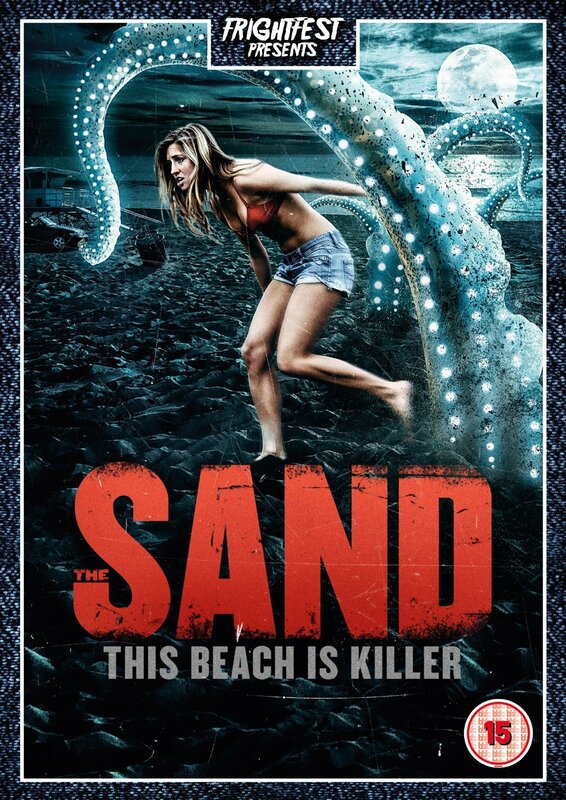 After an all-night beach party, a group of underdressed, overdeveloped teenagers wake up to discover that the sand itself has somehow turned carnivorous, swallowing anything it touches. It soon becomes clear that the teens are fighting off some kind of alien life form that has burrowed beneath the sand, waiting for them to make a wrong move before it attacks. If the premise, at 90 minutes long, sounds like a bit of a stretch, you’d be right – particularly as we only see the monster in the last five minutes of the film. Before that, we’re treated to lots of scantily-clad teenagers shouting at something we can’t see. As such, The Sand is about as scary and atmospheric as an episode of The Partridge Family, though to think of it in this way is to miss out on all the fun. In addition to some satisfyingly disgusting deaths, the film’s melodramatic script is improbably witty, providing some genuinely funny moments along the way. Cleo Berry, who spends most of the film trapped in a beer barrel, has great comedic timing, and Cynthia Murell’s Ronnie is deliciously over-the-top. The CGI is predictably terrible, though there are some nasty effects when members of the group start getting picked off one by one. Still, considering the nature of the death scenes, makeup and practical effects might have been somewhat more effective. But what surprised me most about The Sand is how effectively it plays around with the audience’s expectations, especially in terms of gender. The male characters are mostly rendered useless, with actors like Jamie Kennedy providing the film’s comic relief. Kaylee and Chanda – who spend the first 45 minutes arguing over a boy – end up working together to save the day, proving far more capable than they initially seem. Considering the film takes exactly three minutes to show us a bevy of drunk girls taking their tops off, the inclusive, feminist message is one I certainly wasn’t expecting.